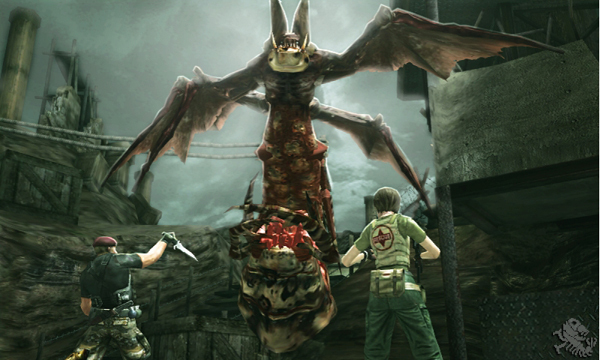 In 2011, the Resident Evil series celebrates fifteen years of terror. With three brand new games in the works and two high definition remakes on the way. Fans have more than enough to look forward to this year and the next. But first Capcom is getting the party started with Resident Evil: The Mercenaries 3D on the Nintendo 3DS. The Mercenaries 3D takes from both Resident Evil 4 and 5’s Mercenary modes and mixes them together with some new content. Familiar characters, enemies, maps, modes and more appear with some new additions that will be sure to spice things up for even veteran players. 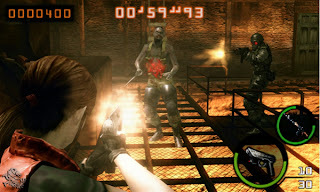 The game allows you to choose from eight playable characters from the Resident Evil games. The game includes Chris Redfield, Jill Valentine, Albert Wesker, HUNK, Jack Krauser, Rebecca Chambers, Barry Burton and Claire Redfield. 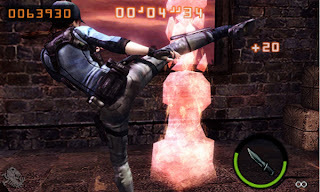 Each character has a unique weapons loadout as well as a set of special melee combat moves. Through the use of Nintendo 3DS Play Coins these weapon loadouts can be switched between characters allowing for some extra customization. Speaking of customization, the game has a lot of it. For the first time, players can now choose between first and third person view modes while aiming and firing weapons. I tried both options out, but found myself using the traditional third person view for most of the game. However, the first person view does allow for more precise aim and some player might find that appealing. Another first for the series is the ability to fire weapons while walking. By holding down both of the L and R shoulder buttons the players aim becomes locked but it enable the player to continue firing their weapon while walking and strafing around enemies. As you meet various requirements in the game, thirty different skills will become unlocked that you can equip to your playable character. 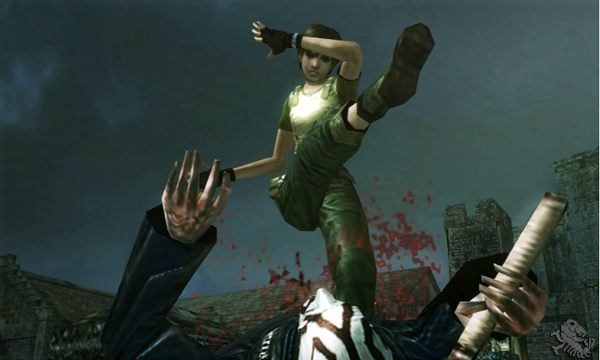 These skills offer a way to customize your character like never before in a Resident Evil game. Each skill can also be leveled two times, and when the skill reaches level three it gains an additional effect. For example the Machine Gun Technique skill improves your machine gun handling and when the skill reaches level three it will also strengthen your melee attacks. Each character can have any three skills equipped at one time. 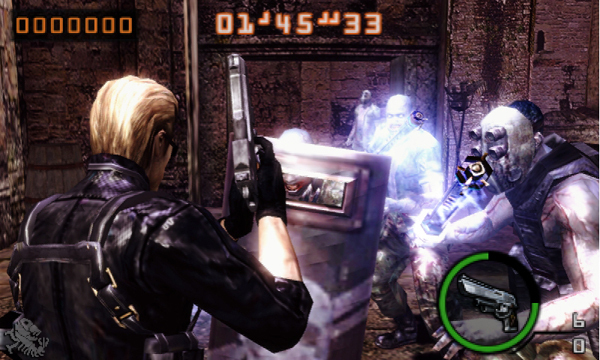 The actual game is made up of twenty two missions with an additional eight “EX” missions unlocked after the credits roll. The missions vary from type and difficulty. Some missions will have you killing as many infected as you can in a set amount of time, others will have you trying to kill a specific set amount of infected. 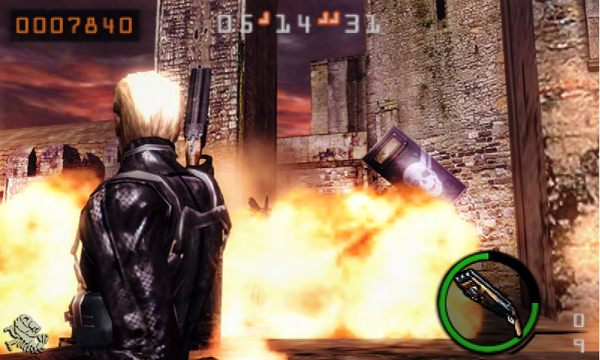 New mission types include boss battles which are new to the Mercenaries. Also new are Survival missions where you have to survive fifteen rounds of madness. These missions are intense and are next to impossible to complete alone. This is where the superb co-op mode comes into play. Every mission except for the initial three tutorial stages can be played with a friend in what the game calls duo mode. You have the choice to go play locally with a friend or go online and set up a match for a stranger to join in on. You can also play with friends online who you have exchanged friend codes with. While you won’t find yourself needing to go online initially the later missions nearly demand it. So if you don’t have easy access to an online connection you will be in for some rough times. Even with a partner expect to be dying a lot in the later missions. Each mission has you trying to rack up a high score. You can increase your score by chaining combos. Combos can be chained by continuously killing zombies without much delay. This means that running away is never really an option if you want to keep that combo going. You have to constantly put yourself in harms way, which is both fun and frightening. All of this has to be done while under the pressure of time. In each mission, you are racing against the clock to complete your objective. More time can be found by destroying time bonus statues which give you anywhere from thirty to ninety more seconds of time. Even more time can be accrued by finishing off an enemy with a melee attack. Every enemy you kill by that method nets you an extra five seconds of mission time. After each mission, you will be taken to the score board. Your overall score is based on how many enemies you routed, combo bonuses, and remaining time. And from that score you are assigned a mission rating. This rating is essentially your grade for that mission. You can get a D, C, B, A, S or SS rating. Obviously the higher your score is the better your rating will be. Scores are recorded for each individual character as well as for duo mode. Unfortunately, the game is over after a few hours, but there is still plenty to do. The Mercenaries 3D includes in-game achievements in the form of medals. There are fifty to unlock, and range from killing chickens to making it out alive of all fifteen rounds of the survival mission. Even more replay value is added if you try getting SS ranks in all missions, and unlocking and leveling up all thirty skills. After all of that, try taking your customized character online and tackle those EX missions with a partner. 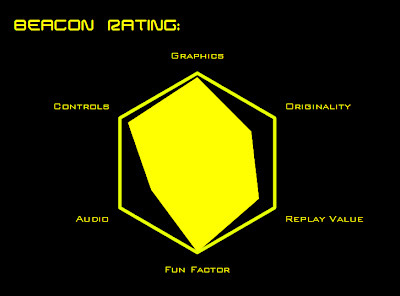 It is hard to recommend this game to everybody as it aimed at a very specific audience. 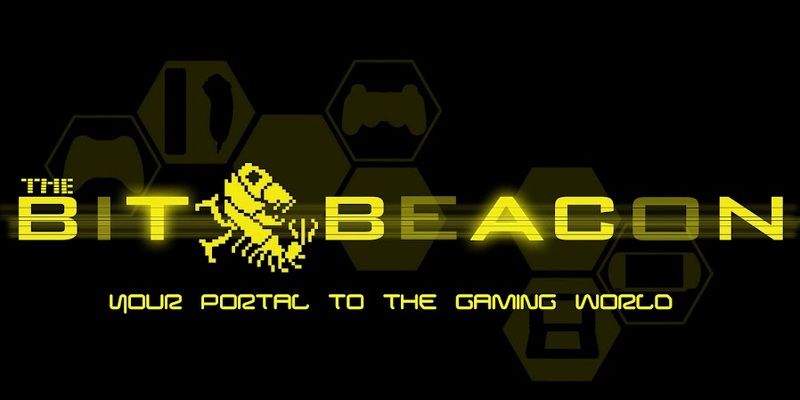 If arcade style experiences are not your thing then you are not likely to get much enjoyment out of this game. On the other hand if you enjoy short bursts of intense time attack style gaming. Then look no further than Resident Evil: The Mercenaries 3D.